I know it seems crazy sage plus nuts and honey, but it is delicious! I am also loving the cinnamon clove and the rosemary. 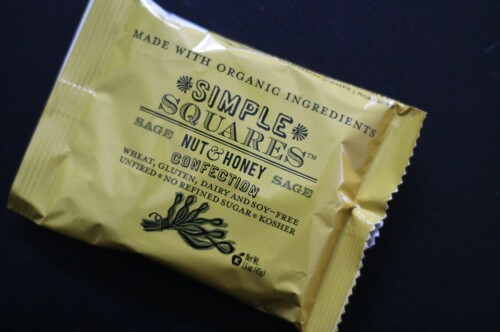 These squares are a great combination of salty and sweet and the best part are wheat, gluten, soy and dairy free! Since sometimes putting a full lunch together is a challenge these have been great to grab and eat while I hunker down on the couch and nurse for hours (and hours). 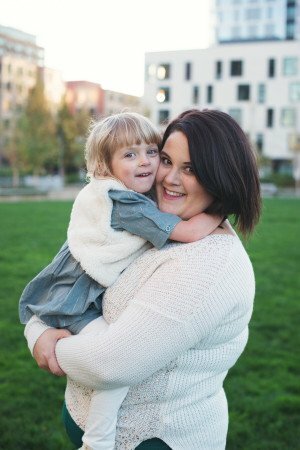 I am currently all out of them and just searched their site to see where I could find them locally because I need to restock! 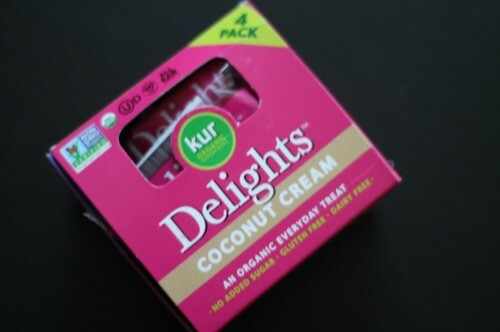 These Kur Coconut Cream Delights are so delicious! These are just like one of Neil and my favorite snacks, coconut rolled dates, except these have a bonus – the addition of cashew butter (another thing I love). Kur also has a brownie flavor and mint which are okay but the coconut flavor stands out and has been a tasty snack that Neil and I have been enjoying around here. 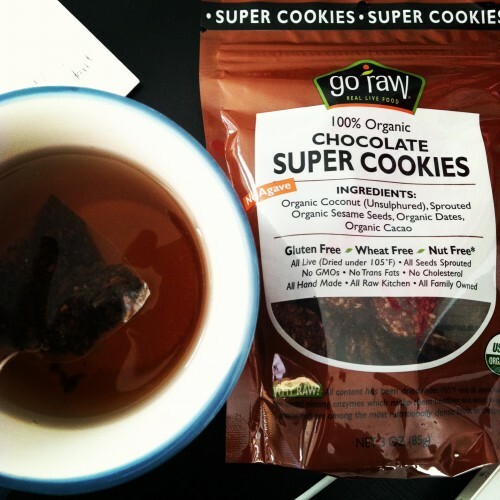 I have been loving Go Raw Super Chips and Cookies especially when I am craving chocolate or chips (or chocolate chips). Right now I am loving the chocolate and lemon super cookies and the pizza super chips (yes they totally taste like pizza). However, I can’t name a favorite yet because I have a few more flavors to try however I think carrot cake might be a contender for favorite if it’s as good as it sounds. I do however love the spirulina super chips and have bought these time and time again because they are so good. 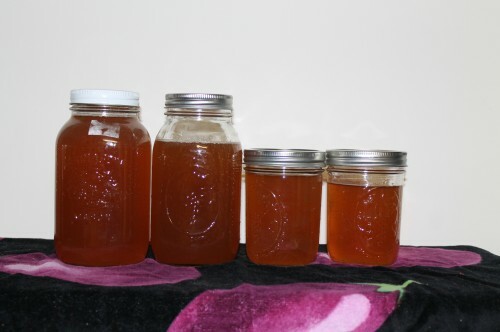 Who knew that brewing your own kombucha could be so easy! It takes patience but the end result is worth it. I really love our the blueberry black tea Oregon Kombucha my only gripe is that it’s a little bit too sweet. Neil and I both agreed that we are going to use less sugar in our next batch. Now we are trying to figure out which flavor we will brew next- any suggestions? Often I find myself wanting something sweet or warm but not hungry so I have been turning to tea to appease my craving. 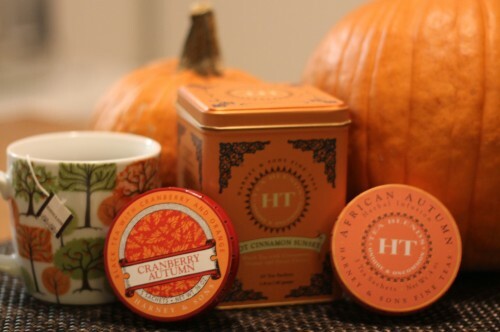 I am usually a black or chai tea lover, and of course I still am, but lately I have been enjoying the Cranberry Autumn and African Autumn teas that Harney Tea sent me to try. I also bought a tin of my favorite Harney Tea Hot Cinnamon Spice tea which is amazing when you want something super warming and lightly sweet. Disclaimer: Simple Bars, Kur, Go Raw, Oregon Kombucha and Harney Tea provided me with their product at no cost. 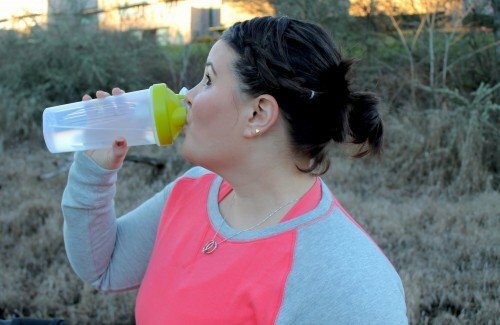 I also purchased Go Raw and Harney products to review with my own money. I was under no obligation to review them if I so chose. Nor was I under any obligation to write a positive review or sponsor a giveaway. All opinions are my own.